Sometimes fiction has a way of becoming non-fiction, and that’s not always a good thing. 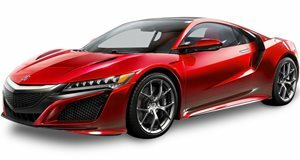 The Drive learned from DNAInfo reports that an accused meth dealer with the last name "White" was arraigned in a Brooklyn, New York court last week for allegedly using stolen ID and credit card information to buy a brand new 2017 Acura NSX for himself as a birthday present. No, it wasn’t Walter White. He’s fictional. But meet Brian White, 45, from Queens. So how did Mr. Brian White get caught spending $240,000 of someone else’s money/credit? Facial recognition. You see, the identify theft victim, whose name remains unknown, learned about the purchase a few weeks after it happened. When he received paperwork in the mail about it he immediately contacted the dealership which sold the car. Local authorities and the FBI, and federal prosecutors teamed up. Their combined effort resulted in capturing White by using a surveillance photo of him from the dealership. That photo was then run through a facial recognition system. White, who also goes by the alias Felipe Segundo, just so happened to get busted last April and charged with dealing methamphetamine. And now White’s been arrested again and now faces 17 counts of grand larceny and identity theft due to his Acura NSX purchase. And this White guy is tough; he just rejected a plea deal that would have seen him go to prison for two to six years. Somehow, in some other world, he thinks he’s innocent.